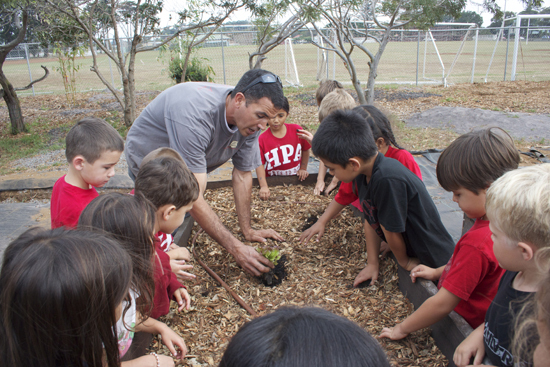 Hawaii Preparatory Academy, recently recognized as a Green Ribbon School by the state Department of Education, will host two community events to celebrate Earth Day. On Sunday, April 15, community members are invited to an earth oven building workshop from 9 a.m. to 2 p.m. at the school’s Ulumau Garden, located at the Village Campus. Skye Hoefke, natural materials builder/earth block mason, and Noah Dodd, HPA’s Ulumau Garden coordinator, will lead the workshop. Participants will learn about natural building, with a focus on earth architecture and earth block construction. The blocks created will be used in constructing HPA’s earth oven. There will be a potluck lunch with fresh salad and greens from Ulumau Garden. All ages are welcome, but space is limited to the first 30 people. For information and reservations, contact Koh Ming Wei at 808-443-9231 or mwkoh@hpa.edu. 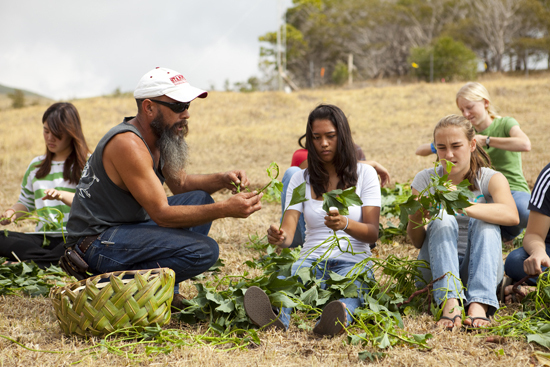 On Saturday, April 21, from 9 a.m. to noon, HPA will host the Earth Day 2012 celebration, Sustainable Practices, Cultural Preservation, and Transformation, at the school’s terrace farm, located at the Upper Campus. Kumu Kuwalu Anakalea will open the event with a blessing, followed by a keynote by HPA alumnus Mike Vitousek. Vitousek, assistant Hawaii Island archaeologist with the State Historic Preservation Division, will present a historical perspective of the Waimea Terrace Sites. There will be numerous demonstrations and workshops, including bamboo construction, u’ala, vermicomposting, aquaculture, and more. Community members can tour the school’s Energy Lab, join an archaeology walk around the area, and purchase fresh green coconuts or sugar cane juice. Community members also can bring their old incandescent bulbs and exchange them for free compact fluorescent lamps (CFLs) while supplies last.